Greta Energy is managed by a team of well-educated professionals who have significant experience in various projects around the world. IOURI STEPANOV attended the Moscow Academy of National Economy, where he specialised in Economics. From 1996 to 2001, Iouri was the owner & CEO of “S&P International”, a Moscow based corporation whose main activities involved financial consulting, financing & the development of various projects. Iouri has been the Director of Greta Energy Inc. since September 2005 and is in charge of daily operations of Greta Energy Inc. at the head office in Toronto. Greta Energy is managed by a dedicated team of professionals with global experience. DON MCCUTCHAN is the International Policy Advisor at Gowling Lafleur Henderson LLP where he advises clients on economic and government policy. Mr. McCutchan’s work involves high-level liaison with the government of Canada and the government of the United Kingdom, as well as international financial institutions. Mr. McCutchan has an extensive experience coordinating strategies with the governments and other official agencies, including the IMF, the World Bank and the OECD. A former senior official at the Canadian Department of Finance, Mr. McCutchan was involved in virtually all areas of government policy. He was actively involved in the negotiation of the Canada/U.S. Free Trade Agreement. Mr. McCutchan served as Canada’s founding executive director at the European Bank for Reconstruction and Development (EBRD). 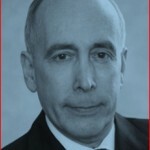 Prior to joining Gowlings in 1997, Mr. McCutchan was vice president of Reichmann International. Mr. McCutchan is a director of Northstar Trade Finance Inc., a trustee of the McMichael Canadian Art Collection, a director of the Couchiching Institute of Public Policy and a member of the Empire Club of Canada. He is a past president of the Canadian Association of Income Funds and a former director of Transparency International – Canada. DAVID MCFADDEN David McFadden is Chair of Gowlings International and a member of Gowlings’ Board of Trustees. He served as Chair of Gowlings National Energy and Infrastructure Industry Group from 2001 to 2009. He acts for corporations, municipalities and utilities involved in the generation, distribution, marketing and financing of energy. He also acts for clients involved in infrastructure development, management and renewal. Mr. McFadden has played a key role in a number of initiatives relating to the power industry. Since October 1996, he has been Chair of the Stakeholders Alliance for Electricity Competition and Customer Choice. Mr. McFadden was appointed by the Government of Canada to serve as a member of the Electric System Working Group, which was part of the Joint Canada-U.S. Task Force established to investigate the power blackout that hit Ontario and much of the Northeastern United States in August 2003. In June 2003, Mr. McFadden was appointed to the Ontario Government’s Electricity Conservation and Supply Task Force. The Task Force, which issued its final report in January 2004, provided a comprehensive strategy to meet the future energy demands of the province, which has formed the basis of the Ontario current energy policy. Mr. McFadden is a member of the Smart Grid Forum of the Independent Electricity System Operator. The Forum, comprised of senior executives in the electricity sector, investigated the issues and opportunities arising from the development of a smart grid in Ontario and issued its report on the implementation of a smart grid in February 2009. The recommendations of the Forum have been adopted by the Ontario Government and embodied in the Green Energy Act introduced in the Legislative in late February.